WIL met the Founder of the Pink Shoe, an organisation which equips ambitious females with the necessary tools to access top jobs across all sectors and professions. In this interview, Helene offers a fascinating account of how her diverse professional experiences shaped her decision to set up her own businesses in technology and healthy food, and later develop prospects in the political sphere. She lays bare key elements of a successful leader and highlights the measures she is presently taking through the Pink Shoe, to facilitate women entrepreneurship! If you are up for a thought provoking read- read bellow to access the interview. How did you start your career as a young graduate and what steps led you to where you are now? My career began at Citibank as a trainee, covering retail and commercial banking which was a great grounding in business. Managing in-store card accounts for Marks & Spencer, I learned a lot about marketing and the value of delivering first class customer service. Being headhunted to join a boutique magazine publisher, in a smaller company with greater autonomy and wider scope of work, I was able to be more entrepreneurial. This was a return to my real passion as I set up my first business when I was still at school. Organizing coaches for groups of friends to attend events across the UK, still too young to sign contracts, I ‘substituted’ my mother’s signature on the paperwork (without her knowledge)! Serendipity has played a big part in my career. When offered the opportunity to work in the US, I spent two great years marketing for a small group of restaurants along the eastern seaboard. The enthusiasm and energy of the founders and team was inspiring. I helped them double the business then realised it was time to do that for myself. Back in the UK, I carried forward this energy and enthusiasm to start my own businesses, first in technology then a healthy food business. Even at the start-up stage, I was aware of my exit; taking advice from a longstanding entrepreneur I made sure to ‘always leave some bread on the table’ i.e. sell when there is still room for growth in the business. Finally, I got involved in politics by offering marketing and public relations (PR) help to a young candidate who then went into the House of Lords. My political PR mentor had been adviser to Margaret Thatcher, giving me the possibility to gain brilliant insights into how politics works. Interestingly, you have been Chief of Staff for both a Conservative and a Labour Peer. What is key to being able to work across political divides? Party political differences are much less defined ‘behind the scenes’, especially in the House of Lords, which has a more collegiate way of working. My roles were international and focused on enterprise and developing global diplomatic relationships. In both roles, I was impartial and not involved with party politics, so it was vital to work across all parties. It is still rare for someone to have held senior roles with peers across the political divides, and I would encourage more people to do it. Party political differences are much less defined ‘behind the scenes. You set up the Pink Shoe in 2007 to encourage female entrepreneurship and leadership and facilitate access to top jobs across all professions and sectors. How is the Pink Shoe different from other women networks? Is there a story behind the organization’s name? At the time, there were already some excellent women’s networks, however most focused on specific business sectors or professions. There are three key elements to Pink Shoe – it works across all professions and sectors, it is a diverse group of women leaders from every different background and has close connections with Parliaments in the UK and globally. The name Pink Shoe signifies the ‘positive footprints we’re creating’ i.e. the legacy and impact of our work and our intention to improve the world of business and society and make it more women-friendly. Surprising as it might seem, until about 100 years ago, pink was a colour for boys, and blue was for girls. This was not widely known, and I wanted to signify the power and positivity of pink in that context. Pink Shoe actively seeks to influence policy with the aim that female leadership and entrepreneurship is pivotal to Government strategy. By working across all industries, we are able to share best practice between sectors. Last but not least, I would also like to mention that we very much welcome men to our events. It is only by working together with women and men that we will achieve the parity we are all working towards. Alongside our work on entrepreneurship, we also offer programs that aim to create more balance in the public life and on boards. This is a program called BoardAble! It was created a few years ago to enable participants to step-up to Public Appointments, Non-Executive Director roles, and Senior Board positions. It is a series of professional seminars and workshops as well as one-on-one customised mentoring programs. Alongside professional seminars, we carefully match each participant with a senior woman in public life who can take them to a board meeting or just give them some insights into what it is like to be a public appointee. I am proud to say that some of the women who have completed this leadership program have already become very senior chief executives within major public organisations! Participants are selected via a competitive application process, just as if they were applying for a ministerial public appointment. We give them feedback at every stage. Even those applicants who do not get in are offered constructive feedback on how to improve their CV and future applications. You drive the Economic Blueprint for Women, a robust portfolio of solutions created in the US by Women Impacting Public Policy. The UK Economic Blueprint for Women is helping to create the conditions for women led businesses to gain a fairer share of business opportunities. There are still many obstacles that are unique to women entrepreneurs. What are they? What can be done to better support women entrepreneurs and encourage an entrepreneurial spirit in young girls? I do not see obstacles, only opportunities. Of course, there are challenges in business but by working together and focusing on what can be achieved we are all more successful. With the Economic Blueprint, we have a roadshow supported by NatWest visiting different areas and regions of the UK, listening to female entrepreneurs about what they need in order to grow their businesses. Outcomes will be published in a White Paper later this year. The things they need are the same for every business owner: funding, a good mentor, and of course access to more business! We are working on practical solutions such as a digital platform so that women can collaborate to gain bigger contracts. Knowledge is key so we have partnered with two universities to build a data repository. This will enable us to have tangible data to demonstrate to Government and industry the economic benefit of more women growing their businesses. I am also passionate about encouraging entrepreneurial spirit in young women and indeed in new entrepreneurs of any age. As we are expected to work longer, entrepreneurship is likely to become a suitable option for people in later life too. Finally, I believe that role models are not just the global business icons – great though they are, these entrepreneur superstars can appear unreachable to many entrepreneurs. With Pink Shoe, I am highlighting achievable business icons – women entrepreneurs with highly successful businesses but with whom young women can identify. Much of what I’ve achieved is thanks to the amazing, inspiring and creative people whom I’ve worked. This is especially true of Pink Shoe and many visionary women that have been with me over the 12 years. Your work allows you to meet many successful female leaders. Do female and male leaders lead differently? Are these differences real or perceived? There are some differences in leadership style of men and women, but successful leaders have lots in common with other leaders, regardless of gender. Women are perceived as more collegiate and inclusive, yet I have worked with men who have these traits too. The most successful female leaders I know all have the ability to build great teams. Teamwork is essential for success. In my experience, most women have a collaborative and empathetic way of working, taking a 360 view of the world. Good communication skills are also one of best gifts we have. Successful leaders in these 24/7 media times have to be great communicators and empathise with the audience. Finally, male leaders still seem to find it easier to take credit and speak up. It remains the case that some women do not always assert themselves, and women who do – like Pink Shoe Patron PM Theresa May, can be perceived as being ‘difficult’. However, as Mrs May nicely put it, “politics could do with some bloody difficult women”. What is the best piece of advice you recently heard from a fellow woman leader? Finally, I love this quote from Sheryl Sandberg and am doing my bit to make this come true: "In the future, there will be no female leaders. There will just be leaders." Following our EU Breakfast Debate on gender diversity in the workplace last month, we had the pleasure of meeting one of the key leaders in this field. Catherine Ladousse, Executive Director Communications EMEA at Lenovo, has been pushing for gender diversity for over two decades. 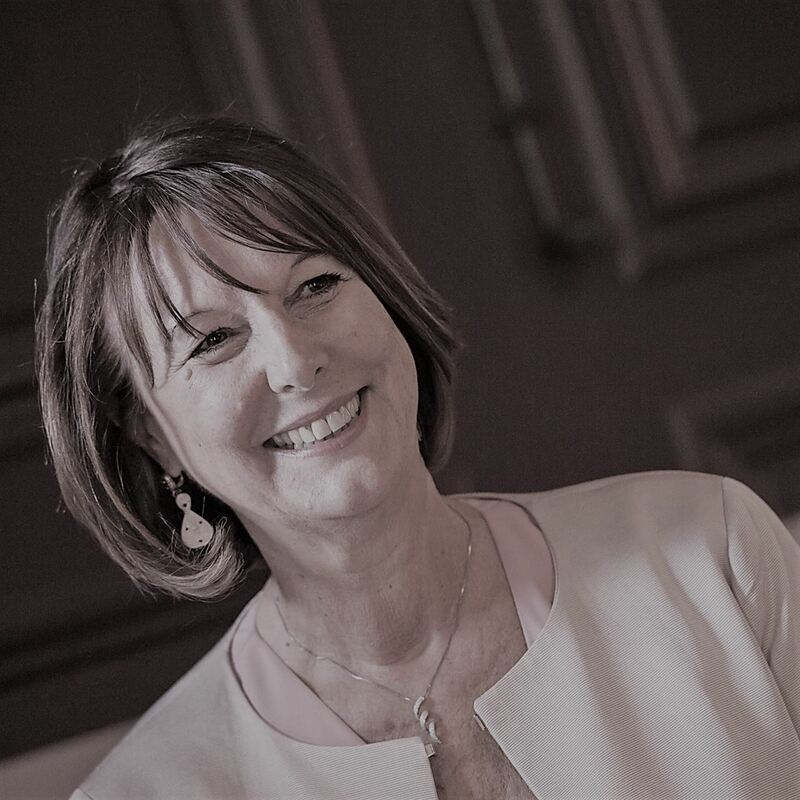 She is co-Founder and Chairman of the French women's network “Cercle InterElles”, active WIL Member, and the co-creator of Lenovo’s global diversity program ‘Women in Lenovo Leadership’. Catherine talked to us about her educational background, the role of women in tech, the importance of joining women’s networks, and her New Year wishes. Read the interview to find out more. You hold a Bachelor’s and Master’s degrees in Literature and Philosophy. How did your educational background help you in your career and why do the humanities still matter in the 21stcentury? Through exploration of the humanities we learn how to ask good questions, analyse and synthesize a text, and how to think critically. All this helps us better understand what is happening around us. When facing a situation where something is unclear, we learn how to ask the right questions to better understand it. Working in communications requires you to have the ability to bring your message across with high impact. You need to understand different target groups and know how to adjust your message accordingly. Curiosity, open-mindedness, and adaptability are crucial for this kind of work. All in all, I can say with confidence that the humanities still matter. In this fast-changing world, it is important to have some solid foundations and the humanities can equip you with good communication and critical-thinking skills that will help you thrive in today’s world. However, this kind of general education should ideally be complemented with some additional technical courses. You have over 25 years of high-level corporate communications experience in leading global companies (IBM, Lenovo…). How has the role of women in tech evolved over the years? The progress has been relatively slow. For example, in the 1960s, there were more women in computer manufacturing than today. There is a decrease in interest. We do not encourage enough girls to pursue STEM studies, despite all the efforts made by private companies and government initiatives to attract more women to STEM. This makes it difficult to hire more women in these lucrative and exciting industries. Encouraging female students to choose these industries is key to success! On average, tech companies currently have less than 30% of female employees. At Lenovo, we are currently at 34%! We have a lot of female employees in China, probably because there are fewer cultural stereotypes about these jobs than in the Western world. In Europe, we still have plenty of work ahead of us! less than 30% of female employees. At Lenovo, we are currently at 34%! You are a co-Founder and President of Cercle InterElles, a professional network of women in STEM, and an active member of WIL Europe. Why is it important to join women’s networks? Mentoring is key for helping women increase their confidence. I created my first women network about 20 years ago, when I was working at IBM. The network was led by women but stayed open to men who wanted to participate in our initiatives. While women should be provided a safe space to network, exchange, and grow, it is also important for men to help us create a more inclusive company culture. Women’s networks allow women to feel part of a community and learn from their peers. They are also beneficial for the companies involved. For example, Cercle Interelles unites 14 women’s networks from various companies in the scientific and technology sector. We exchange best practices and we play a role of ‘think tank” as we try to come up with concrete solutions for the management to get a better gender balance and promote an inclusive culture. If we share our expertise and diverse experiences across our companies, we will go faster! create a more inclusive company culture. What are the best practices you have noticed at Lenovo to encourage gender diversity? What is the secret to your success of building inclusive leadership behavior? Our company has its roots in China. In order to be able to grow and expand, we had to build an inclusive culture and make sure that people from different backgrounds can thrive in the company. We often say that diversity is the DNA of our company, and we just issued our first report on Diversity & Inclusion, presenting our programmes and our commitment in this field. Since the very beginning, we have been focusing on the question of gender. We have thus put in place both internal and external programmes on gender diversity. Internally, we have a variety of programmes for leadership development of our female employees, such as WIL’s Women Talent Pool Programme. On the top of that, we have been working hard on shutting down sexism in the workplace and creating safe spaces for everyone. Invisible sexism is the most difficult type of sexism to avoid when you have such a big gender imbalance. Men tend to form groups among themselves and do not make the effort to include others. In order to tackle this overarching challenge, we conduct an employee survey every year, which allows us to find out how to create a better and more diverse workplace. At the external level, through our women’s network “Women in Lenovo Leadership (WILL)”, we are partnering with diverse organizations across the world (e.g. the Women’s forum, Women in Africa…) to develop our female talents and get a better gender balance in each position. Through this network, we try to identify key obstacles for women in STEM and develop strategies for tackling these challenges. Last but not least, we launched a very successful marketing campaign 2 years ago that aimed at attracting more female candidates. and creating safe spaces for everyone. Lenovo is our Women Talent Pool (WTP) Partner. Why do you find this programme valuable for your employees? Our employees have been very grateful for this opportunity. By nominating them and asking them to be part of it, we give them both the recognition of their talent and the confirmation that we want to develop it even further. In short, the Women Talent Pool programme allows our employees to gain confidence and expand their horizons by learning from peers from different backgrounds. One member of my team has been selected to attend this program, and I have seen some concrete progress throughout the programme: she gained in confidence, improved her ability to speak up, and developed her leadership skills. I am very pleased to have the opportunity to support this initiative, which has been a great success. The holiday season is quickly approaching, and you may already have some New Year wishes. Do you have any wishes you want to share with our readers? My wish is to increase access to technology for everyone. Technology can help solve a lot of gender-related problems. Let me give you two examples: women find it more difficult than men to speak up in public. However, they tend to be more active on social media than men. In other words, giving them access to technology enables them to participate more in the public sphere. Technology has also made it easier for women to work from home. Freedom and flexibility allow women to attain a better work-life balance. Finally, I hope that the young generations will have the skills and the persistence to eliminate sexism. I have three daughters myself and I wish to ensure that we create the world in which girls can pursue their dreams. There is still a lot of work to do… but we are moving in the right direction! Technology can help solve a lot of gender-related problems. To learn more about Catherine, have a look at her biography! Cristiana Falcone Sorrell is a global leader in media, business, and social development. Throughout her career, she has worked directly with leading executives of multinationals, international organizations, and the media globally. She talked to us about the implications of technology-enabled disruption for the media industry, the importance of international experience, and her ways of giving back to the society. Looking for some inspiration? Read the interview to find our more! You have extensive experience in the media industry. What are the most exciting trends in the industry? I am especially interested in the implications of technology-enabled disruption for the media industry. Content production and distribution have both been transformed by digital technologies and this transformation has resulted in new challenges and new opportunities. Contemporary journalism is facing two major problems, notably collapsing advertising models that supported journalism in the past and declining public trust in media institutions. The traditional advertising-based revenue model that has for long been used in this industry has not successfully adapted to the digital economy. Besides that, people have also lost faith in institutions and traditional media outlets and are increasingly looking for alternative sources of information. Blockchain could resolve many of these challenges by encouraging new forms of journalism that guarantee transparency and provide a viable revenue model. I am interested in exploring how this technology can be applied in journalism and in the media industry at large. Blockchain has the capacity to enforce payment for content, ensure greater transparency and simplify a more reliable supply chain. If you are interested in the latest developments in this field, you should check out CIVIL, a new initiative that helps power sustainable journalism throughout the world by employing a decentralized model based on blockchain and introducing a new funding model. Beside journalism, it might help the media and entertainment industry at large to manage its assets from the digital rights management to distribution, micropayment, and royalty management. Both Accenture and Deloitte published on this subject, while MIT and Cambridge offer online classes. It could be all a hype, or it could be the future. As always, the key is in the hands of the industry leaders who have the courage to explore, the power to adapt their old business models, and the ability to challenge current mindsets. and provide a viable revenue model. You are also a passionate art collector. What barriers do women face in the arts and how can we support the next generation of female artists? I am trying to support female artists by investing in female entrepreneurs and artists. Women face more challenges than men when it comes to fundraising. This is why it is crucial to invest in female entrepreneurs and equip them with adequate marketing tools. Even artists need to know how to manage their business! My support is based on trust! I always try to learn as much as possible about the person I am working with. If you want to truly empower an emerging artist, you have to trust him or her. The role of an artist is to create and not to report. Micromanaging can take away the time and confidence of the artist! you have to trust him or her. the time and confidence of the artist! An Italian now living in New York, you have studied and worked in several countries. How has your international background and career helped you master leadership skills? For the past decade I have been living between New York and London and traveling a lot. Due to globalization, the internet, and falling transport costs, people expect to have more face-to-face interactions than they used to. Despite all the opportunities that the digital world is providing, the need for intimacy still exists. When you meet someone in person, you can get things done faster and with a longer-term impact than if you only had a digital conversation. Face-to-face interactions allow you to build meaningful relationships and engage in conversations that are not purely transactional. I hope that women will not be penalized for that and will have the same opportunities as men in this kind of face-to-face interactions. My international experience has certainly shaped my identity. Despite working and living abroad, I have always kept parts of my original culture. My Italian cultural background has helped me immensely in my career, especially when working in non-Western countries. It has equipped me with positivity, flexibility, empathy, creative yet efficient problem solving. On top of this Italian layer, I have also built my global (I call it ‘Gypsy’) identity. The two layers complement each other and co-exist together. Had I stay in one country all my life, I would not have the same understanding of the world as I do today. Working and living abroad in continent very different from each other: from Latin America to Africa to the Middle East, Far East Asia and of course Europe and the US, gave me the opportunity to meet such a diversity of human beings who have all drastically influenced my way of thinking and inspired me. This made me realize that the more I learn, the less I know. We are one humanity and I think when the astronauts go to space and look down on Earth, they immediately understand that. Even when you build a wall, the wall is useless. You also serve as CEO of the Sorrells' charitable foundation, a non-profit that develops pioneering educational models. Why is it important for leaders to engage in philanthropic projects? The JMCMRJ Sorrell Foundation was set up a decade ago thanks to a donation from my husband and focuses on health, education, and interfaith dialogue with the overarching goal of poverty eradication. Our approach is more “charitable” and aimed at forging partnerships rather than philanthropic. We give grants instead of launching and managing our own projects. Initially, we supported people, ideas, and institutions we were familiar with, mainly in the fields of education and cancer treatment. As we grow, we learn how to be more effective and efficient, we evolve and sharpen our focus! Our projects are based on trust and the most difficult part of the process is identifying the right people and building long lasting relationships. It is important to trust the people who have committed their lives to improve this world and not micromanage their projects. Constant reporting and supervision are time and resource consuming! However, in several cases, we are directly involved with the management of the organization we have decided to support. Regardless of the size of the grant, we always encourage our beneficiaries to be bold, innovative, creative, and risk-prone! We recently started a partnership with Tufts University. We set up a research fund for applied research on humanitarian assistance. Our money is used for research and scholarships. For example, we financially supported a professor who had been studying violence in Uganda for about 20 years. She wanted to systemize her research and thank to a grant from the Dignitas Fund she was able to hire a research assistant. Their work was used during the proceeding of the International Court of Justice when they were asked to testify against one of the generals who perpetuated genocide in the region. Her team was able for the first time ever to provide impartial evidence that clearly showed how the second and third generations had been affected by the genocide. To learn more about Cristiana, have a look at her biography! Orange, our Premium Partner, has been a thought leader in the field of corporate diversity and became the first group that received the Gender Equality European & International Standard (GEEIS) certification. 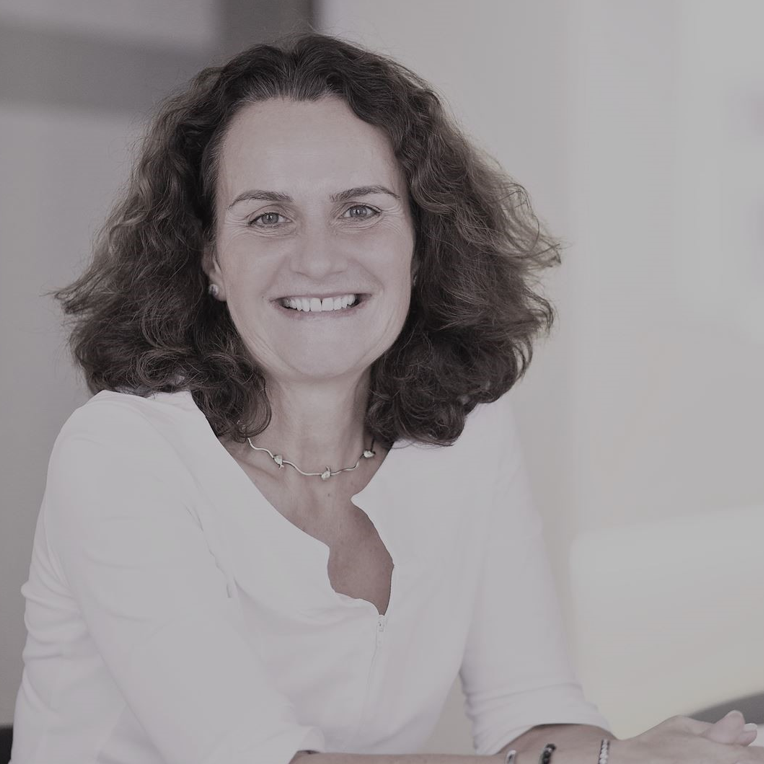 We had the pleasure of interviewing our Board Member Line Pélissier, Diversity Director at Orange, who shared with us some of Orange’s best practices and benefits of diversity. What inspired you to study finance and what made you make a career switch from working in finance to becoming Diversity Director? Working in finance is interesting because it gives you a great overview of the company, its performance, and its future challenges. It is especially exciting in a big company like Orange, which has many different departments. If you work in finance there, you have the possibility of working in any of those departments and each department faces its own challenges. Besides that, I really like management. I like talking to people about their hopes and careers. This is why after having worked in finance for many years, I thus took up a more HR role as Orange Finance Jobline Director, to develop and train our employees working in finance. And then I saw a job opening for the Head of Diversity position. Since I enjoy working with people, solving complex problems, and thinking about long term solutions, it seemed like a great opportunity. of the company, its performance, and its future challenges. Orange, proud Premium Member of the European Network for Women in Leadership (WIL Europe), is deeply committed to supporting diversity and workplace equality. Could you share some of its best practices? Which concrete initiatives (flexible working practices, education across the organization to change the workplace culture…) have had the biggest impact so far? At Orange, we have come up with a diversity policy that includes both individual and collective actions, as we believe that no single action can have a great impact. Instead, it is a sum of actions and initiatives that guarantees success. We have also developed indicators that help us measure our progress. We believe especially in the importance of creating an environment where our employees have a better work-life balance and are given support and guidance in their professional growth. For example, we have developed teleworking policies and we now have more than 8000 teleworkers! We have also launched a mentoring program for women with the goal of improving women’s access to managerial positions. On the top of that, we have been trying to address the pay gap issue by developing a unique methodology of data collection and analysis. In France, we even have a dedicated budget to close the pay gap in individual cases. as we believe that no single action can have a great impact. At Orange, we also do a lot to inspire young girls to join the tech sector. We want to make them explore the broad range of career choices that are available for them and we do so by sending our employees to local schools where they present their jobs and answer any questions girls might have. We have also realized that women are less likely to apply for job positions that require purely technical skills. They do not see the purpose in having a job that is very technical and ’less meaningful’. It is thus important to develop that ’meaning’ and include it in the job description. When we adapt our job descriptions and explain what is at stake and how they can have an impact, we tend to attract more women! Last but not least, despite gender diversity being one of the most important pillars, we also have programs promoting equal opportunities for people with disability, sexual minorities, and young people from underprivileged areas. we tend to attract more women. What role can male advocates and managers play in fostering a culture of diversity and inclusion? Men also have an important role to play. If men experience the benefits of diversity in their own teams, they might be more likely to actively advocate for diversity. Studies show that diverse teams are more innovative and generally perform better as they reflect the diversity of customers and the diversity of challenges. And by diversity, I mean diversity in terms of age, gender, origin, or disability. It is crucial not only for men but for everyone in the company to understand the benefits of diversity and their own responsibility regarding the evolution of the company. Everyone needs to be on board if you want to bring about change! of customers and the diversity of challenges. As part of its partnership with WIL Europe, nearly 40 Orange Talents integrated our Women Talent Pool programme since 2012. What are the benefits of this programme for your talents? Our partnership with WIL Europe allows us to expose our participants to the true meaning of diversity. Indeed, the program is very international, giving our talents the opportunity to network with like-minded women coming from different countries and sectors. It also offers very high-quality training sessions. to expose our participants to the true meaning of diversity. What are the outcomes of these diversity initiatives and best practices? Diversity is beneficial for creativity, efficiency, and innovation. Let me give you a very practical example. When the people developing a service reflect the diversity of their customers, they are more likely to come up with suitable solutions for their customers. Imagine you create a service designed by geeks only for geeks; it would certainly have an unfavourable impact on your market share. Or if you have a disabled person in your team, you are more likely to design appropriate services, and not only for the disabled, but also for the elderly. I am proud to say that we currently have 36% of women in our company. This is quite encouraging for a tech company where the averages range around 20-25%. Big companies like Orange are constantly being observed. Managing diversity well and having a positive brand image are crucial for attracting the best talent. suitable solutions for their customers. To learn more about Line, have a look at her biography ! This month, we had the pleasure of catching up with WIL Board Member, Katherine Corich, a commercial pilot turned expert in business transformation and Founder & CEO of Sysdoc. We discussed her career shift and what it takes to lead a successful transformation programme in the 21st century, as well as her extraordinary charity work in Brazil as Chairwoman of Happy Child International. Katherine also reiterated the importance of networks such as WIL Europe and shared with us a lesson she recently learned through her millennial employees! After qualifying as a commercial pilot, you decided to pursue a career in information management and became an expert in business transformation. Why did you make such a career shift and what did you learn from the aviation sector? Whilst working on an information technology project at the London Stock exchange, I realized that principles completely evident and normal in one industry such as aviation could be used in another such as in global finance. Principles ranging from stimulation training and learning organisations, the understanding of human factors, black box thinking, to the importance of culture and many more. In particular, within aviation, we are able to learn from our mistakes by analyzing the black boxes fitted in every aircraft which records everything leading up to and during an accident or event. This ‘black box thinking’ enables us to to continually learn and adapt. We send out a notification globally and alter the training and behaviours on this specific area. Not enough organizations adopt this mentality of learning from mistakes and implement the change globally. Therefore, I introduced some of the principals and insight of aviation in business to help organizations to be more successful, safer and more stream lined. Founder and CEO of the highly successful London-based business-systems consultancy company Sysdoc, you have led many transformation programmes across various companies. How do you lead transformation in the turbulent 21st century? Recently, we are seeing a global trend – people have become much more open and honest about the state the world is in. They have become more aware that business ethics make sense and profit at any cost doesn’t. If a profit degrades the environment or a community, removes water or pollutes the region, then it is not acceptable business. Directors and Senior Leaders within companies need to ask those hard questions, change products, services and revenue streams when they notice a negative impact. There is now enough global financing and funding in the world for a company to transform its offerings into a new area and stream of business that is good for the environment and for humanity. One of the reasons I teach at Oxford University Said Business School is because it allows us to work with the finest leaders from the corporate world with a different way of thinking and encourage them to think about the wider issues and legacy they wish to leave behind. With this programme, and if they are true leaders, they can provide a much greater impact on humanity; we simply need those who are brave enough to lead the change as at this time, the impact is needed more than ever. Alongside running your business, you have been involved in charities and you are on the board of numerous organizations, including the NGO Happy Child International, founded by WIL Member Sarah de Carvalho. Why did you become such a philanthropist and how do you think you can best help the charity sector? I became a philanthropist because I believe it is a natural pathway for entrepreneurs. When one has had the privilege of running a strong performing company, then it is natural to give back! We have always been a generous company and we pride ourselves of being one of the first to have many female senior leaders and practices that attract younger mothers! However, we wanted to improve our generosity from simply donating money to making a real difference by using our skill sets as a team to make the greatest impact. This is what led me to becoming the Chairwoman of Happy Child International. One of the Charity’s main focus is of rehabilitating and reintegrating young girls and sometimes boys in Brazil, of the ages 11-13, whom have been prostituted on the streets, become pregnant and are now living on the streets. The charity rescues them and begins the often three to four-year process of learning to love themselves and their baby as well as other basic skills necessary for their integration back to their family life. We also work via our It’s a Penalty campaign with the Brazilian and other governments to focus on why the young girls are prostituted in the first place and who is responsible. Through our research, it is mostly foreign workers and visitors attracted to their cities by big sporting events. We have lobbied governments in the lead up to events, assisted police and social services throughout the event, set up help lines and raised awareness of the problem. Our impact has been enormous as we have been able to reach hundreds of millions of people, with tangible impact such as working with the police to identify and shut down brothels near major sporting venue, received thousands of calls to our help line and changed legislation for the criminalization of abusers abroad. Using our skills along with our money, we are much more powerful than a few donations could ever be. performing company, then it is natural to give back! You are also a Board Member of the European Network for Women in Leadership (WIL Europe), which has been acting over the last 10 years as a platform where senior-level women can meet and exchange, network and support each other. Why are such networks important and what changes in attitudes and policies are still needed to facilitate women’s professional advancement? As a leader you are a trailblazer, you have broken through the mold and found a way to the top of what you are doing. Many refer to it as ‘breaking through the glass ceiling’. In my personal experience, most of the women leaders I have met have stated there might have been glass ceiling, they simply never noticed it. To be a leader you must be brave and have the capability, courage and talent to just say ‘I can do it’. You build the great relationships and team along the way but arriving at the top can be lonely and this is why leadership networks are so vital. The networks of incredibly talented ladies such as WIL Europe give us the ability to collaborate, share ideas, share best practices, support each other and celebrate each other. It is great to be amongst other leaders who want to change their company, organization or the world in such a positive way. share best practices, support and celebrate each other. At WIL, we strongly believe that leaders are constant learners. What is the latest lesson you have learned in your personal and/or professional life? I completely agree with your statement! I learn something new every single day! The most recent lesson I have learned would be yesterday evening. I brought together all the millennials from one area of our business together to discuss mental health in the consulting industry, as I believe that as a company and human beings we need to constantly evaluate the environments we work in. Millennials are trying to find their place in such a connected world through social media, new technologies every day, a world where money is a constant struggle and of course for British millennials, the impact of Brexit. Therefore, I asked them how we are going to shape our mental health strategy, as we all experience bad physical and mental days at some point. I wanted them to feel in a safe environment, so we would be able to trial the strategy through building a support for each other, to call on one another, call on a colleague or the wider services to solve the problem through the network in place. The team needed to know the distress they feel regarding all the problems are valid and real and we will find a way to address them and through this, the team were willing to work hard to find the greatest strategy! Katherine is also the Founder of Tech Start-up NightSpiders, and was appointed to the Small Medium Enterprise Panel, Efficiency and Reform Group and as Equality Champion, Equalities Office - Red Tape Challenge, for the UK Cabinet Office. Moreover, Sysdoc is also one of 25 companies appointed to represent the 4.8 million SMEs in Britain to simplify public sector procurement to ensure SMEs can play a more visible role in UK innovation, growth and export-led recovery. Additionally Katherine currently holds several positions for Charitable organisations: Chair of Happy Children International (Brazil, Angola) and It’s a Penalty - Sport as Force for Good campaigns, Advisory for Global Angels (Africa, India) and leads social sector innovation projects in NZ. As a mother of four children, Katherine is acutely aware of the needs and challenges of raising healthy, happy children in a secure environment, while working in a fiercely competitive business world. 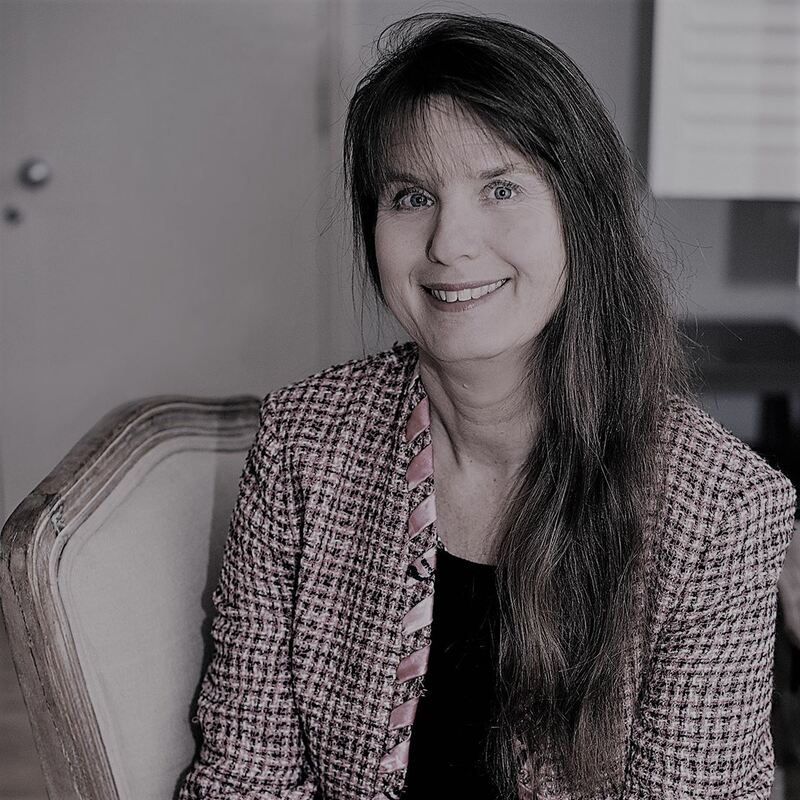 Katherine holds a Degree of Master of Arts, Honours (MA) from the University of Canterbury , where she specialised in Socio-Linguistics, Generative Grammar and French/English Phonology. Despina Anastasiou Regional Leader, Dow Central Europe and President Dow Hellas A.E. We had the opportunity to interview our WIL Member Despina Anastasiou, Regional President for Dow in Central Europe and President Dow Hellas A.E., an industry leader in advanced materials, industrial intermediates, and plastics businesses delivering a broad range of differentiated technology-based products and solutions to markets such as packaging, infrastructure, and consumer care. Despina is a chemist by training and has been working for Dow for the past 28 years. She is deeply committed in supporting the advancement of women to leadership positions and in creating sustainable communities around the globe. After completing your PhD thesis on organometallic chemistry, what made you branch out from research and start working for Dow in the private sector? While working on my PhD thesis, I enjoyed the camaraderie of being part of a research team, but I wanted to branch out from laboratory work, yet still be linked to innovative technology. A friend’s accounts of the diverse opportunities for professional growth he had been exposed to within Dow Chemical (Australia) caught my attention. I approached Dow and joined the company two weeks after I submitted my thesis. You are an Australian of Greek origin and you have worked in both Asia and Europe. How has your international background and career helped you master your leadership skills? I started in the technical services for ANZ and after two years, this role was expanded to the Asia-Pacific region. Having a graduate diploma in Japanese language and an understanding of the cultures across Asia Pacific helped me enormously, as did my PhD. In Asia, formal education is highly valued, and although there were not many women in my field at this time, our customers were very receptive to what I had to say. The reason I joined Dow is because Dow invests in people, and not a day has passed where I haven’t learned something, and something of transferable value – if not about our customers and markets, about my team and myself. My personal motto is to be the best that I can be, and I genuinely believe that when you stop learning, it’s time to go. development, channel and distributor management, sales, marketing and strategy development. I’ve always gravitated to coaching and mentoring but more recently have formalized this both within Dow and externally, not just for women, but for all; across all education levels with a particular focus on STEM and Leadership skills. In short – none of us turn up to fail, yet not enough effort is allocated to guidance early or when it’s needed most. and something of transferable value. You have been a WIL member for over three years, and Dow will be supporting our 2018 Annual Gathering in Warsaw; how important do you believe is the promotion of women leadership and how is Dow tackling this matter? As a proud WIL member, I’m deeply engaged in supporting the advancement of women to leadership positions and regularly join international panel discussions to talk about the importance of promoting gender parity in the workplace. When we respect the diversity of our workplace, we create an inclusive environment where everyone can perform to their highest potential. At Dow, we are committed to building a vibrant, diverse and talented employee base — investing in each employee’s growth and development as part of Dow's inclusive global community. We value the differing experiences, backgrounds and perspectives our employees bring, and rely on those differences to fuel innovation. Dow’s strategic focus is to help Dow women grow their skills for today and prepare for the future’s unique market challenges. For more than 20 years, Dow’s Women Innovation Network – one of our eight employee resource groups – has provided a framework for Dow women around the globe to share experiences, find mentors, seek professional development and gain access to senior leadership. everyone can perform to their highest potential. Apart from gender equality and diversity, how is Dow committing to CSR? Corporate Social Responsibility is an integral component of Dow's identity. Dow is committed to identifying, understanding and addressing society’s most pressing challenges and determining how the company can help provide solutions to create sustainable communities throughout the world. As part of this effort, Dow looks for solutions to enable economic development, sustainability, and education that lead to socially healthy and resilient communities, while also supporting and furthering business success, in alignment with the company’s 2025 Sustainability Goals. Dow’s holistic approach promotes relevant, long-term change for communities by engaging in integrated solutions and cross-sector collaborations. Dow’s Global Citizenship efforts are multi-pronged and focus on education, workforce development, hunger, water resources, substandard housing, energy efficiency, and poor health. Dow focuses these efforts within two strategic commitments: Building the Workforce of Tomorrow and Innovating for Global Solutions. Through Global Citizenship, Dow puts its commitment to advancing human progress into action. Dow is a catalyst for positive change around the world. substandard housing, energy efficiency, and poor health. If you had to recommend a book or paper to our network what would that be? I recommend, Carla Harris, “Strategize to Win” and if you cannot make the time to read the book, definitely view the various videos of her talks and especially note her messages on power and “relationship currency”. Dr Despina Anastasiou is Regional President for Dow in Central Europe. In this role, she is responsible for leading Dow’s operations across the Central European region with a particular focus on exploring and driving business growth. 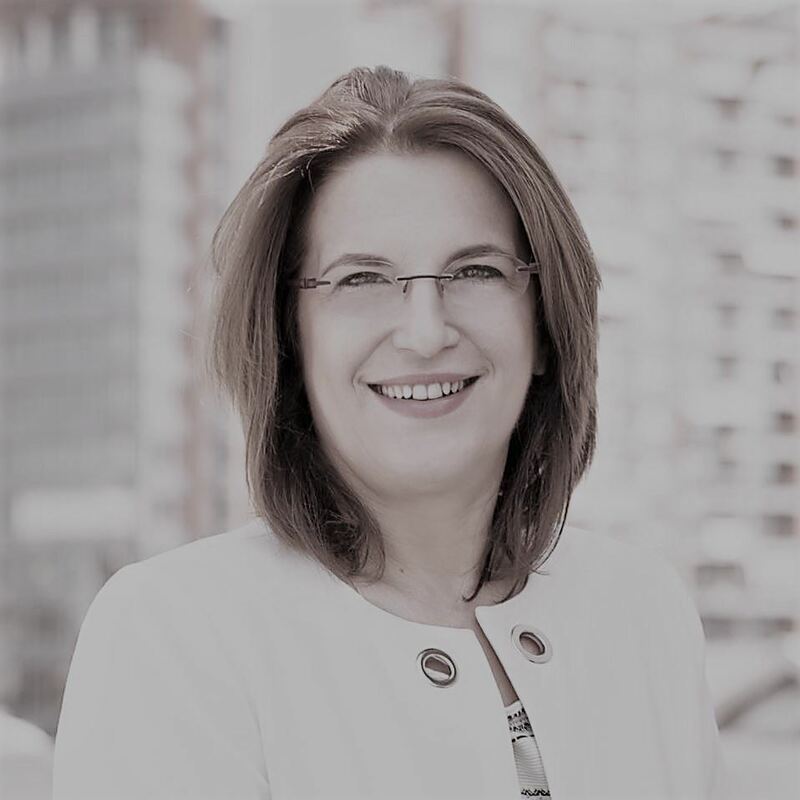 She is a member of Dow’s European Leadership team, the European Women’s Innovation Network and Sustainability Steering teams and a board member for both the American Hellenic Chamber of Commerce and the Hellenic Association of Chemical Industries. Despina joined Dow Chemical Australia in 1990 and in the years that followed, she has held diverse roles of increasing responsibility in Market and Account Management, Business Development and Business Leadership across a broad range of products, markets and countries, including a three year assignment in Shanghai China. 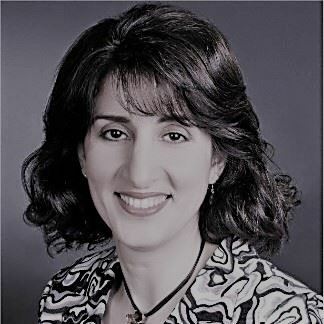 In late 2013, Despina was named President for Dow Hellas relocating to Athens, Greece with her family and was appointed to her current role of Regional President Dow Central Europe on March 1, 2016. Despina attended Monash University in Melbourne, Australia and holds a B.Sc. (hons) and a Ph.D. in Chemistry. She also holds a Graduate Diploma in Japanese language from Swinburne University. Despina and her husband Peter live in Athens Greece and have three sons.